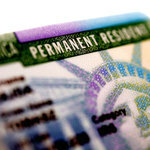 Advocates of restrictive immigration policies often claim that immigrants impose a net burden on the public treasury. The most comprehensive and authoritative study of the fiscal effects of immigration in the U.S. finds, however, that there is a net positive effect. If policymakers are concerned that less skilled immigrants may pose some risk of a fiscal burden, then restricting immigrant access to means-tested public benefits would be a better response than denying them admission. A path to citizenship for these immigrants need not entail a fiscal burden as long as their access to these public benefits and citizenship is sufficiently delayed. Chang, Howard F., "Walls or Welcome Mats? Immigration and the Public Treasury" (2016). Penn Wharton Public Policy Initiative. 4.